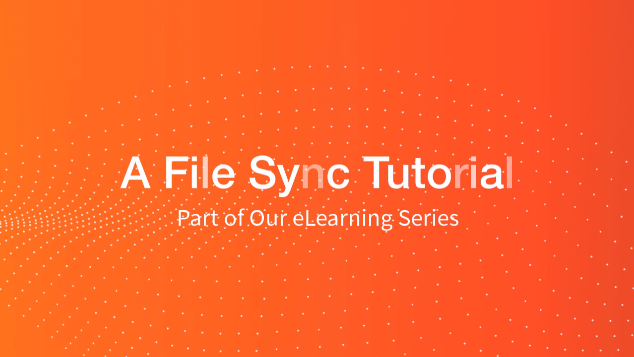 As an administrator, you can create data retention policies for each individual organization to determine how long revisions, synced data, and backups are stored in the system. These policies are especially useful for organizations that need to comply with certain regulations, such as HIPAA. As a reminder, when an item is purged from the system, it cannot be restored. The Axcient team cannot perform restore operations on purged data (files, folders, revisions) or containers (organizations). For instructions on preventing users from purging data, please reference our Preventing Users from Deleting Data Knowledgebase article. Trim Policies - Trim policies determine how long revisions (or versions of a file) are stored. Purge Policies - Purge policies determine how long deleted data is stored. While users will be able to delete data, this data will still be recoverable until it is purged. Backup Policies - Backup policies determine how long backed up data is stored. From the left-hand organization navigation menu, navigate to the appropriate organization. Within the organization, click the Settings tab, and then click the Policies tab. The Organization Settings page displays. Select the Allow Users to Roll Back Revisions checkbox to give end users access to the Revision Rollback feature. If this policy is turned off, administrators will still retain the ability to utilize this feature for end user support. For more information on how the Revision Rollback feature can be used to protect against Ransomware infections, please reference the What is the Revision Rollback Feature Knowledgebase article. Select the Allow Users to Erase Revisions checkbox to allow end users to delete previous versions of files within the system. Select the Auto-Erase Revisions checkbox to automatically delete previous versions of files within the system. If this option is selected, you will need to enter the number of days that revisions should be stored. In the Erase Revisions for Files Unchanged In field, enter the number of days that revisions should be stored for unchanged files, if you previously selected the option to auto-erase revisions. Select the Allow Users to Erase Deleted Files checkbox to allow end users to permanently remove files that have been deleted from the system. Select the Auto-Erase Deleted Files checkbox to automatically remove deleted files from the system after a specified number of days. If you select this option, you will need to specify the number of days that deleted files should be stored before being erased. In the Erase Deleted Files After field, enter the number of days the deleted files should be stored before being removed, if you previously selected the option to auto-erase deleted files. Select the Auto-Erase Revisions checkbox to automatically delete previous versions of files within backups. If this option is selected, you will need to enter the number of days that revisions should be stored. In the Erase Revisions for Files Unchanged In field, enter the number of days the that revisions should be stored for unchanged files in backups, if you previously selected the option to auto-erase revisions. Select the Auto-Erase Deleted Files checkbox to automatically remove deleted files from backups after a specified number of days. If you select this option, you will need to specify the number of days that deleted files should be stored before being erased. In the Erase Deleted Files After field, enter the number of days the deleted files should be stored before being removed from a backup, if you previously selected the option to auto-erase deleted files. Click the Save button to save any changes.